OH MY GOD! NINTENDO WII MINI! The Nintendo Wii Mini will be UNLEASHED in shops all over the UK tomorrow. The Nintendo Wii Mini is out here in the UK and Europe on March 22! That’s right guys! I’m going to a midnight…oh, wait. I’m not. But why not? I hear you cry. Well, first of all, I doubt that there are any exclusive midnight launches happening, because people who wanted a Wii already have one. I’ve had mine for over six years, and the last time I actually used it for non-fitness enjoyment was…wow, I can’t even remember. Much as I loved the Wii when it first came out – and I was seriously addicted to the Sports games – it got old after a while. Sure, whenever I have friends round we’ll have a few cheeky frames of bowling but aside from that I have a very capable PC, a 360 and even a PS2; all of which I find a more immersive experience, ironically enough. 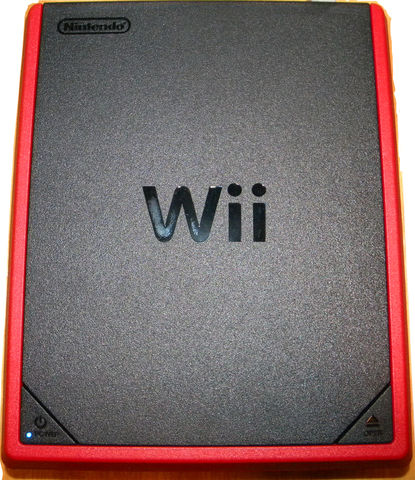 So why the Wii Mini, a full six years after the proper debut – not to mention a few months behind its own successor? I don’t get why this has happened really; six years on from selling 100 million Nintendo Wiis worldwide off the back of a hugely successful ad campaign, good-looking if not great performance and the Wiimote’s making more physical gaming a reality, why release this comparably cheap tat? Stripping out all the extras? That’s probably why the price is so low; and after six years of getting production down to a tee, it’ll certainly widen those profit margins. Let’s hope they’re making some room on those shelves at CEX. ← Who’s next for Kickstarter?